Sierra Leone, a country once riddled by suffering and stagnation caused by years of civil war and gun-toting youth rampaging through the countryside, is now slowly managing to include marginalized youth into participating in national development and social transformation. Youth unemployment is one of the major causes of war in Sierra Leone and a serious threat to the peace that prevails in the country today. An estimated 800,000 youth between the ages of 15 and 35 are actively searching for employment. 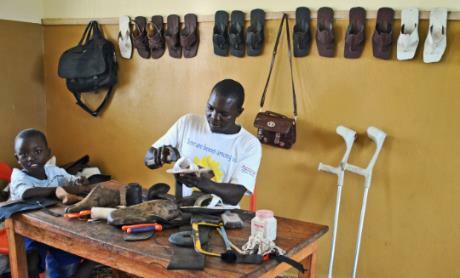 Some of these youth lack skills and education, but it is even more difficult for those with disabilities and only a basic education to compete for the limited jobs that are available. Umaru Kargbo, who lives in Sierra Leone’s northern city of Makeni, was one of those young people facing a bleak future, begging on the street and in local markets to make a living. When he was 10 years old, Umaru was stricken by polio, an acute viral infectious disease that is widespread among children in Sierra Leone and leads to infantile paralysis. But Umaru was selected for training through a UNDP-supported youth employment project in Makeni. He was placed as an apprentice in a workshop where he learned how to make shoes. “I had decided that I did not want to be a beggar, I want to do something more fruitful and dignified with my life. The training was good” a smiling Umaru explained. Now he runs his own small business, which enables him to earn his living without begging. A recent independent study of 17 youth employment programmes administrated by UNDP and the Government of Sierra Leone shows that the programme that trained Umaru has transformed the lives of 10,000 young people leading to an average increase in the income of the youth by more than 197 percent, with communities reporting that this improved their food security status and their abilities to pay school fees. The programme is designed to strengthen national policy, strategy and coordination for youth employment as well as sustain the establishment of basic support services for youth, including mentoring for micro and small enterprises and the establishment of career advisory services in the country’s universities. 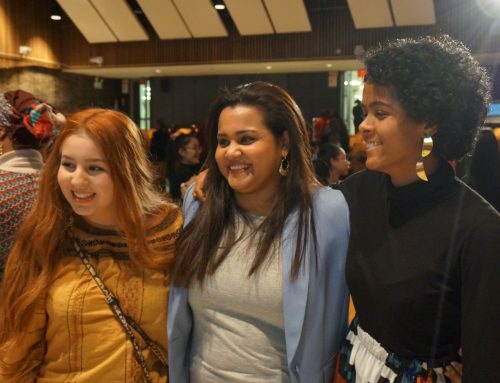 As a result, 5,000 young people have started their own businesses.